Ask TSF Readers – What happened to “real world” startups? You know, the startups that actually have tangible products such as Zappos, Amazon, Redbox or Groupon. If you can explain it to your grandmother, then most likely it has a real world aspect to it that normal people can relate to. If you’re debating a freemium model vs. Paid model then most likely you don’t have a physical product / service to sell. As Startup Foundry grows we get more and more startups asking for us to cover them, and 99% of them don’t involve any “real life” aspects to them. Why is that? I have a few explanations why they don’t exist. Developers are so immersed into their digital lives, they forget about problems that can be solved in the real world. The people who have the ideas for real world startups, are not entrepreneurs, thus the idea never gets executed. There are actually plenty of real world startups, but I don’t hear about them because I’m also so immersed in my digital life. Or as I like to day: The path of least resistance. A digital site that doesn’t involve physical things means that a developer can essentially develop and market a product without ever having to go outside of their house. Chat Roulette being a prime example of this. The founder of Chat Roulette didn’t have to go outside of his house and market his product to retail stores, companies or anything of that sort. He just built it, and the initial (albeit short term) success was great. All a developer needs is a computer and an internet connection. Most of the popular developer frameworks are free and open source. It’s a no brainer. However, this leads to a billion websites that all try to accomplish the same thing and there really is no innovation involved. I don’t want another website that allows me to filter and display my online content in an easier way. I’m absolutely dying for someone to come up with another article recommendation engine or a better way to determine my online clout. The path to least resistance is also amplified because there are no hardware costs associated with it besides server costs (A server you will most likely never ever see). Reason #2: Developers are so immersed in their digital lives, they forget about problems that can be solved in the real world. This is another big reason why I think why we are too busy solving online problems instead of real world problems. Developers are doing what they do best: Developing. This involves a computer and an internet connection and also means most of their lives are spent are in front of their computer. Ideas evolve from frustration you experience, and developers frustrations are mostly online because this is where they are most of the time. If you combined the “path of least resistance” along with frustration you experience online, you end up with a digital product that solves a digital need – not a real world need. Reason #3: The people who have the ideas for real world startups, are not entrepreneurs, thus the idea never gets executed. I’m sure there are plenty of mothers out there that experience a lot of frustrations in their lives with the products they use. A baby monitor that doesn’t work, a crib that is too hard to put together, etc. But, they are too busy to implement these ideas, or have the slightest clue where to start. For this case in particular, i’m sure the major brands are all over it anyway. But, as I type this, reason #4 seems like possibly the best answer to this post. Reason #4: There are plenty of real world startups, but I don’t hear about them because I’m also so immersed in my digital life. This can quite possibly be the answer. Maybe it’s because I’m like everyone else, and I spend most of my time in front of a computer. As sad as that sounds, it’s true. The places I “hang out” are mostly online. I hear the frustration of signal vs noise on twitter, but I never hear something like “I wish there was a better way to hang my keys”. I’m so immersed in my online life, this is seriously the best real world problem I can come up with. And it’s not even a problem! In my example in reason #3, it is quite possible that sine I don’t have kids I have no idea what the newest and greatest products are and most importantly who are making these products. Are there startups focusing on making baby products, I have no idea. This is where I need the readers help – Where are all these real world startups. Do they exist & if so where do I find them? 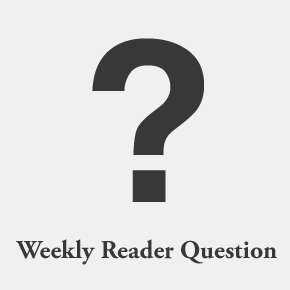 Author guestauthorPosted on February 27, 2011 Categories Culture14 Comments on Ask TSF Readers – What happened to “real world” startups? Thor Muller is one of the original co-founders of Get Satisfaction and is also the current CTO. Get Satisfaction officially launched in September of 2007 and since then has grown to 50,000 communities, 6 million visitors a month and over 2,000 paying customers. I had the chance to speak with Thor on the phone and we had a great conversation regarding how t hey started, challenges on the way, and their commitment to “Be a good citizen”. What type of company would be suited to use your service? Get Satisfaction is used by every size and category of company. It ranges from small mom and pop retail shops to Global 500 customers such as Walmart, P&G, Microsoft & Motorola. The appeal is broad. Tell us about the first 6 months of Get Satisfaction, and how the idea originated. My wife, Amy Muller, and I were founders of a consulting company we founded called Rubyred Labs. 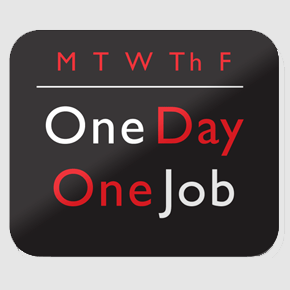 We had grown to a team of seven, working together on developing new social networks and web apps. Through a side-project called ValleySchwag we stumbled onto the intractable problem of customer service, which we thought could be reinvented using the social web. Lane Becker, a friend who had co-founded Adaptive Path, told us: “If you two don’t start it, I will”. We brought him on board as a co-founder and started Get Satisfaction. During our initial pitches to investors we were told that most companies would never allow their “dirty laundry” to be aired in public. Customer service issues were “best kept hidden,” according to them. But our story was that companies don’t really have the choice: through blogs, Get Satisfaction, Twitter, Facebook, etc, people are able to summon companies into public conversation. This disruptive position was what ultimately attracted our initial investors, First Round Capital, OATV, and SoftTech VC, to us. To be clear: we never set out to be a complaint site. Our goal was to create open spaces for people to connect with each other around the products and services they cared about. Being a “good citizen” has been central to playing this role. Instead of just providing a SaaS community platform we allowed anyone to start a customer community–be they an employee or a customer. This led to an initial launch of our service that was fundamentally consumer-driven. Did this unconventional approach cause you any problems? The good folks at 37signals had an issue with it, the result of a hasty update to our site design. We responded quickly to the issue (and it was a valid issue), and fixed our mistakes. I am the first to admit that it was our mistake. We received some feedback from outsiders to push back hard against the critique, but we felt that missed the point. This was our opportunity to live by our creed of conducting business with more humility, more humanity. Our original idea for a lightweight web app was inspired by 37signals’ work, and we genuinely respect the work that they have done. Besides the 37 signals issue, were there any other public issues that you had to deal with? We’ve been fortunate to avoid many public mis-steps. One near miss: a year ago we pre-announced a change to our paid plans, including the removal of features from our free plan. However, we did not “grandfather” existing users. Not surprisingly, free users were upset. But since we were able to collect feedback before the actual change, we were able to add a grandfathering policy for our early users. 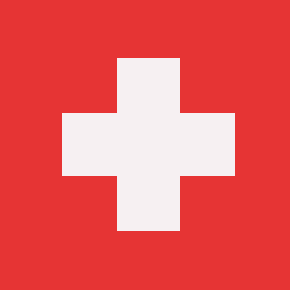 We avoided a black eye by being ultra-responsive. In our early months were able to use our existing cash flow from the consulting business, along with funding from our friends and family who were eager–perhaps recklessly so–to support the venture. Since we spun the business out of our development consultancy, we had a whole product team from day one. How did you market your startup initially. What advice do you have for other early stage startups? First and foremost, you need a good story. Early on, we had a provocative position: “Your company doesn’t own its customer service.” That statement resonated with a lot of people and that’s how we were able to get press. We also did a lot of speaking engagements, conferences, etc. Another big thing that helped is that a few times we were featured as part of hot news stories or controversies. A prime example of this was last November, when DecorMyEyes was accused of cultivating complaints and bad reviews to gin up the SEO of their e-commerce site. The story got a lot of attention & press. We responded to the story, clarifying numerous mis-conceptions and providing technical guidance on how other sites could avoid being gamed by bad actors. This was an example of how we look for opportunities to be a good citizen. This is the social capital that the reputations and businesses are built on today. Clicky was an easy choice for us to ask to interview. I am a big fan of the service, and I love to see the little guy go up against the big guy (Google Analytics) and actually see some significant traction. I had an amazing opportunity to interview Sean Hammons from Clicky and he goes into detail of how they started, their biggest challenges and why they keep turning “hundreds of investors” down to invest in their company. It’s an interesting read, and an insightful look into a great startup. If you are a member of Clicky, or just needed the extra motivation to sign up – they have a built-in affiliate program that is worth looking into as discussed in the interview. Who you are, position in the company, and how long you have been with Clicky. Sean Hammons, co-founder and lead developer. I started working on Clicky started in October 2006 so it’s been a little over 4 years. Clicky gives you simple yet detailed reports on your web site’s traffic in real time. The ease of use, real time data, great customer support, and affordable pricing has helped us stand out in this fairly crowded vertical. What is the biggest challenge you have to making clicky real time. Was it always real time? Clicky has always been real time. In 2006 there weren’t many real time analytics tools (and none that were affordable), so we decided to make one ourselves. These days pretty much all services are real time (Google Analytics being a notable exception) so it’s not as much of a standout feature anymore. We had a lot of demand immediately, so I think we definitely got a bit lucky with our timing. It has been a huge challenge dealing with the bandwidth and the amount of data we have to process every day. But challenge is fun and exciting. I absolutely love what I do. I’ve never worked on any project even one thousandth the size of Clicky, so I didn’t have experience with scaling or optimization or things like that, nor was I much experienced with using Linux as a server. Now I run 50 Linux servers that we built ourselves and during peak times we’re tracking over 4,000 page views per second across our network of 300,000 sites. If someone had told me in 2006 that I would be running a service of this size and scale in 4 years, I probably would have laughed. How many users does clicky have? We’ve got about 150,000 users (15,000 paying) tracking 300,000 sites. Take us through the first 6 months at get clicky. How did you get traction, press, etc. Were the founders also developers? My partner Noah was my boss at my last job, and Clicky was created as an internal tool for our own usage there. We saw the potential immediately, so we decided to become partners and pursue Clicky full time. Noah had a bit of cash saved up and I was a developer, so we didn’t need any funding. We lived off his savings for the first 4 months until we started making money directly. Getting people to initially try the service was challenging and frustrating. We didn’t have any good connections at the time so it was hard to anyone to even look at our site. I was posting in forums, going to hundreds of blogs and using the contact forms to try to get the owner to try Clicky out, things like that. Not a single person signed up from those efforts. But finally, we got a break, and as soon as we got that one post, it just took off. We didn’t do any marketing or advertising, it was just that one single post on a largish web site. A few months later, we started making money, and that was a great feeling. We were growing much faster than we expected to, so the first few months was pretty challenging, as I had to really buckle down and learn about how to scale this kind of service. It was a lot of fun though. I’ve never learned so much in such a short period of time. Tell us how you really feel about Google Analytics. Google Analytics is an extremely powerful service but it has a very steep learning curve. We designed Clicky’s interface to be easy to understand up front so people don’t get scared. We have some powerful features (goals, split testing, etc) but they’re not up front intimidating you. They’re there to discover when you want them, but otherwise it’s all about simplicity. A lot of people use Clicky and GA together on the same site – Clicky for most day to day needs, but GA when they need some of the power we don’t provide. For example, Google’s has really good segmentation and historical trends with that data. We have segmentation too but it’s calculated “on demand” so it’s not as fast as Google, especially when viewing over a large date range. What are some marketing techniques that you can share with others who have just launched their product. Well like I said above, we didn’t do any marketing or advertising. But one thing that really helped our growth is that we’ve had a very simple affiliate program from day one. Every user is an affiliate by default so there’s no forms to fill out or junk like that. The program is simple – every new user you refer to Clicky who signs up for a paid account, you get 20% of every payment they ever make to us. This really encourages people to talk about us more than they might otherwise, and we have some people making several hundred dollars every month because they have referred so many users our way. If your service is is freemium or paid only, either way I would whole heartedly recommend implementing a similar affiliate program. Whatever other services I create in the future, I can guarantee they will all have affiliate programs. It really does help your growth and your bottom line. I noticed you don’t have a Facebook fan page. I had a post earlier that mentioned Facebook fan pages are worthless for startups. Would you agree?Why does clicky not have a facebook fan page? I think Twitter is a much better place for handling B2C relationships because of its public nature. I’ve never been a huge Facebook fan anyways. I do use it, but only for keeping in contact with “real life” friends. Are you funded or bootstrapped? If you did get funding, at what stage did you get the funding. Pre-prototype or post-prototype? We’re bootstrapped. We’ve been contacted by hundreds of investors at this point though. Originally we were interested in taking on some money to help us grow faster, but that is no longer the case. If you can afford to bootstrap, do it. Owning 100% of your company and not having to answer to shareholders is ridiculously satisfying. The only time I think it makes sense to take on funding is if you need a fairly large team up front to build your service. Otherwise, don’t do it because you’ll probably regret it. Clicky.com must bother you. Any changes clicky will purchase clicky.com? We contacted the owner of clicky.com a long time ago but he was not interested in selling it at the time. It’s a bit frustrating because the domain is not being used for anything anymore. But, most people know us as “get clicky” anyways (because of our domain name), so it’s not really the biggest deal in the world. I watched Social Network for the second time today, and it got me thinking. Entrepreneurs are no different than struggling actors. The end goal for an actor or entrepreneur is not to land a high paying job at some respected company, but to become rich and famous. If you’re an entrepreneur, your goal is to create something new and exciting that hundreds of thousands (maybe even millions) of people will use. If you are an actor, your goal is to get on TV or the big screen and be seen by millions of people. We’re all working towards the same goal and yet everyone has a different approach. However, We all can agree on one point: You have a higher probability of succeeding if you surround yourself with the smartest people in your industry. The more connections you have, the better chance you have of getting found. 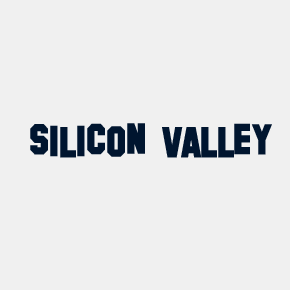 Silicon Valley and Hollywood have a large concentration of industry talent all in one small area, and this is why they are arguably the most importent and influential areas in the world. Yes, the world. What other place can you get a more dramatic scene when you finally tell your parents: “Mom, Dad: I’ve decided to quit school & work, and move to hollywood to pursue my lifelong dream of becoming an actor”. Change Hollywood with “Chicago, New York, London, Tokyo, Paris” and it just doesn’t have the same effect. No matter how much you love your city, it’s just not as influential as Silicon Valley or Hollywood. Don’t get me wrong, other cities ARE important too and you can become rich and famous by starting a company outside of silicon valley such as Boston, Chicago or New York, and there have been plenty instances of actors outside of Hollywood that have gone on to become rich and famous. But that’s not my point. There are no other areas in the world that are more influential and important than Silicon Valley or Hollywood. Period. Silicon Valley is home to the most brilliant entrepreneurs and technology companies who have impacted people’s lives around the world. Google, Facebook & Apple are a rock throw from each other. Where else in the world can you say three companies of that magnitude are located so close to each other? Better yet, imagine if they all disappeared right now. Wouldn’t things be a whole lot worse? Hollywood is home to some of the most influential actors, agents, producers and studios along with movies & music that are watched and heard around the world. They control America’s media, and arguably have a huge impact on international media as well. Media is important and goes hand in hand with technology. If president Obama shut off our internet AND TV, you can guarantee there will be mass riots. Speaking of riots, technology & media were part of the reason people in Egypt were able to organize protests efficiently and succeed in their mission to overthrow Mubarak. It wasn’t the people of Silicon Valley or Hollywood that were part of this, but you can’t look past their role as an enabler, and you can’t look past the importance of these two areas and their impact across the world. I would love to be proven wrong on this issue. If you think there is a more important region, I would love to hear about it in the comments below. Side note: I am a fairly well travelled individual who has been to most of the major international cities except East Asia. I also live in Chicago. Go Figure. You can follow the author, Robbie Abed on twitter @robbieab and The Startup Foundry on twitter @startupfoundry. In one or two sentences, explain what GiveForward does. GiveForward is a crowdfunding platform for medical expenses. In a nutshell, we make it incredibly easy for friends and family raise money for things like chemotherepy treatments or organ transplants when their loved one gets sick. How long has Give Forward been around? Was Give Forward bootstrapped or funded? We bootstrapped for the first two-and-a-half years but recently got funding. Explain what the first 0-6 months were like for Give Forward. How did you get it off the ground? Wow! To say the first six months were rough would be a massive understatment. We launched the site in August of 2008 and on January 1st, 2009 we had one visitor on GiveForward that day — literally ONE visitor! For the most part, our attempts at gaining traction involved coercing our friends and family to start fundraising pages. I enlisted about 25 of my college buddies and their girlfriends to run 5 miles through Central Park for the cause of their choice in in an event we dubbed “run for a reason” . I think we helped raise about $13,000 from the event, which probably accounted for like half of the donations on the site the first six months. It was kind of ridiculous back then. We really didn’t start to see any traction on the site until about nine months in when two Chicago sisters from Depaul used GiveForward to raise $30,000 for a kidney transplant. After that, we received some media coverage and things started to pick up a bit. How did you acquire funding. Was a prototype built before funding? Last summer, we got accepted into a Chicago startup accelerator called Excelerate Labs, which turned out to be a game changer for us. Through Excelerate, we were able to demo at the House of Blues in front of 500 investors from around the county. My partner, Desiree, gave a pretty awesome presentation which really opened the doors for us. From there, Tim Krauskopf, one of the mentors at Excelerate helped us round up some investors. We also used Angel List, which I highly recommend, to secure the final part of our round. We have a team of seven right now plus a few really awesome interns. Not at all. I know it’s a cliche, but the Chicago startup community is really coming into its own right now. Groupon has obviously helped to bring a ton of attention to Chicago, but things like Excelerate Labs, MidVentures Tech Week, and Social Dev Camp are changing the landscape in Chicago and helping to build a strong community here. Granted, funding is always going to be an issue and there is no Sand Hill Road in Chicago, but with tools like Angel List democratizing the VC industry, the need to be in Silicon Valley isn’t nearly as great as it used to be. Educating people and getting the word out. That’s always been the hardest part. When a loved one is going through a serious health issue like cancer, their friends and family usually feel pretty helpless and don’t know what they can do to help. Our goal is make sure they are aware of our service. Once people find out about GiveForward, they always love it. We just need to let more people know about it. Thanks to Ethan for the interview. All the best to GiveForward. For more startup news, follow us on twitter @startupfoundry. You can also follow the author on twitter @robbieab. The ZookShop story. A behind the scenes look at bootstrapping a SaaS web app. And oh yeah it’s fairly cheap considering there are no transaction fees. You still have to pay the merchant fees such as Paypal or Google checkout, but there is really no other way around it. The pricing ranges from $29/month to $49/month, based on how many products you have. In my opinion the service is great for smaller to midsize companies who just need a simple solution without a ton of configuration needed for each product. 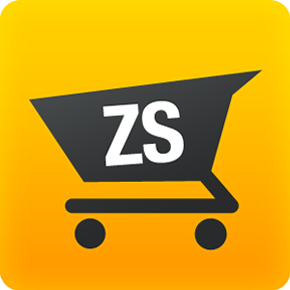 How long did it take you to develop ZookShop? It took me 5 months to develop it on the side. How is the startup market in London, and do you think you are at a disadvantage by not being in Silicon Valley? There are very few startups here, you will mostly encounter people with side projects from already established small businesses, which is our case. Being in London is okay if you want to let your company grow slowly, but it’s hardly a startup then. How are you going about marketing this product. What have you learned? At the moment, I don’t really know. Until now, I focused on improving the product and responding to the feedback of the first customers. Where did you get the name from & where did you get the idea from. “Zouk” is a popular music genre from our island of origin, and while searching for a domain name, we found out that zookshop.com/.co.uk/.fr were free, it was short, looked and sounded nice, so we just went for it. I got the idea while working to improve the conversions on a shop hosted on an eCommerce platform, platform which had thousand upon thousand of users. It was so ugly, slow and painful to use, I figured that we might have a shot creating a better alternative. I believe we just achieved that, even if it’s still a really young product. Author guestauthorPosted on February 16, 2011 Categories Bootstrapped6 Comments on The ZookShop story. A behind the scenes look at bootstrapping a SaaS web app. 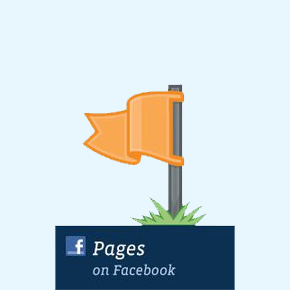 Author guestauthorPosted on February 16, 2011 Categories Marketing41 Comments on Facebook pages are worthless for your startup. Go where the early adopters are. 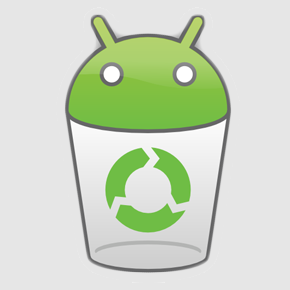 Swappa is an online market place that specializes in used Android devices. 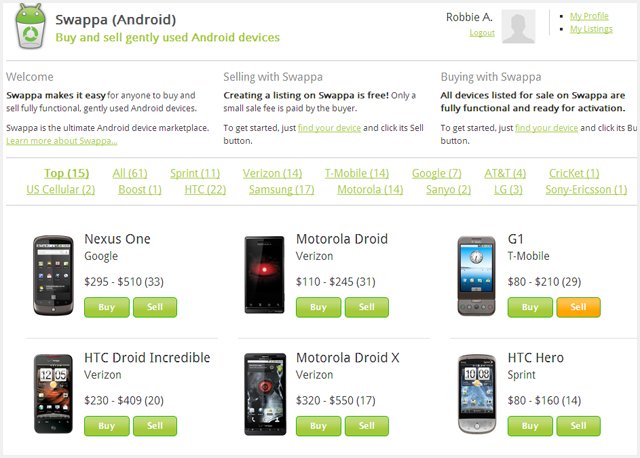 If you are looking to buy or sell an android device, Swappa is the place to be. I had a chance to speak with Ben Edwards who is the founder & developer of this one man bootstrapped venture. An online marketplace to buy & sell phone’s is not a new thing. What makes swappa any different from ebay or craigslist as an example? Usability is a big factor. One thing that makes Swappa a lot easier to use, compared to eBay for instance, is you start out by choosing the device to buy and sell. It makes it real easy to see all the listings together and compare apples to apples. If you search eBay for ‘Motorola Droid’ you get listings for a half dozen different types of devices and their accessories, all in the same list. It’s a pain, and it’s ugly. Swappa is simple. Do you have any plans to sell non android phones? No plans to list non-Android devices at this time. I believe the focus on Android gives Swappa a lot of advantages in terms of simplicity and marketing. What about cost. What is the cost to participate? Yes, minimally profitable. The only main expenses at this point are server costs. Some early costs included buying an “inventory” of Android devices to have for sale on the site and some advertising (pay per click). The devices I bought and sold through the site paid for themselves, the advertising did not. Marketing a startup is always a big hurdle. What have you done so far to get traction on swappa? Right now I’m doing the hustle to market Swappa. I’ve been contacting nearly every relevant Android site and blog I can (often more than once), giving an introduction to Swappa and asking for feedback. I tried some paid advertising (Facebook) the first month the site was live, but that didn’t do much. Getting mentions on Android related sites has been what’s got Swappa traction. Thanks to Ben Edwards for the interview. All the best to Swappa. For more startup news, follow us on twitter @startupfoundry.